Trek and select retail partners will back the nationwide 2018 Major Taylor Tribute Rides, which will be held on November 24, November 25, and December 1st in cities across the United States. The Major Taylor Tribute Rides celebrate the legacy and achievements of Marshall ‘Major’ Taylor, the world’s first African American World Champion and the first black cyclist to win a World Championship. While various cycling clubs across the country will join the events, the nationwide effort will be led by the National Brotherhood of Cyclists (NBC), an organization that promotes a love of cycling and its health benefits in underrepresented US communities. 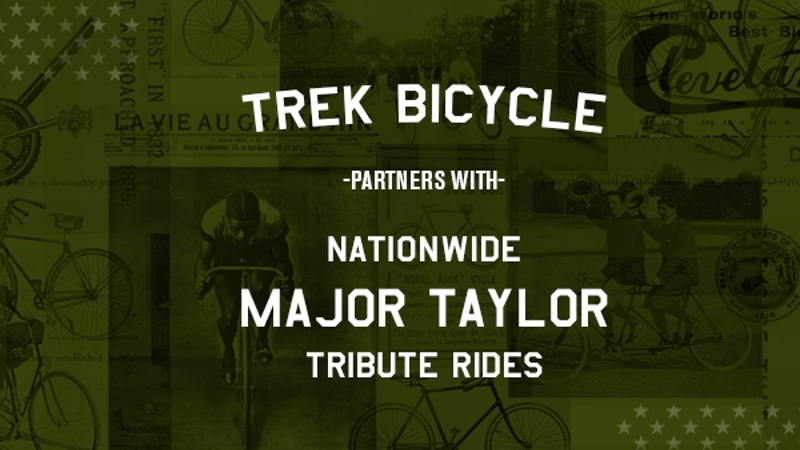 Trek and NBC are encouraging all cyclists to find a nearby city with a Major Taylor Tribute Ride and register. The rides will be casual and are open to all cyclists. Registration is now open, and more information is available at trekbikes.com/MajorTaylor. In addition to providing support and promotion for the Major Taylor Tribute Rides, Trek has launched a new collection of Major Taylor casual apparel, which includes t-shirts and sweatshirts. All proceeds from the collection will benefit the National Brotherhood of Cyclists and support its mission. The Major Taylor apparel collection will be available online at trekbikes.com and at Trek retailers in November. Marshall ‘Major’ Taylor was the world’s first African American World Champion and the first black cyclist to win a World Championship. He soared to fame at the turn of the 19th century, as he toured the US and Europe competing in front of crowds greater than 50,000 in venues such as Madison Square Garden. Trek notes that his success defied all odds. He faced violence from competitors, racism and prejudice from the sport’s governing bodies, and threats from spectators – but none of that stopped him from becoming one of the most dominant athletes of his era.